Our exhibitors spaces are full! 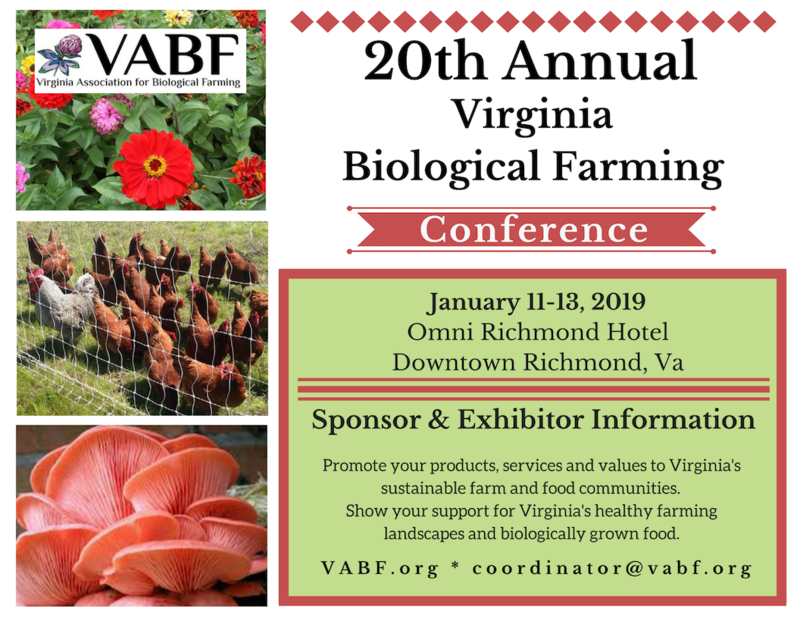 If you would like to be on a waiting list, please contact coordinator@vabf.org! 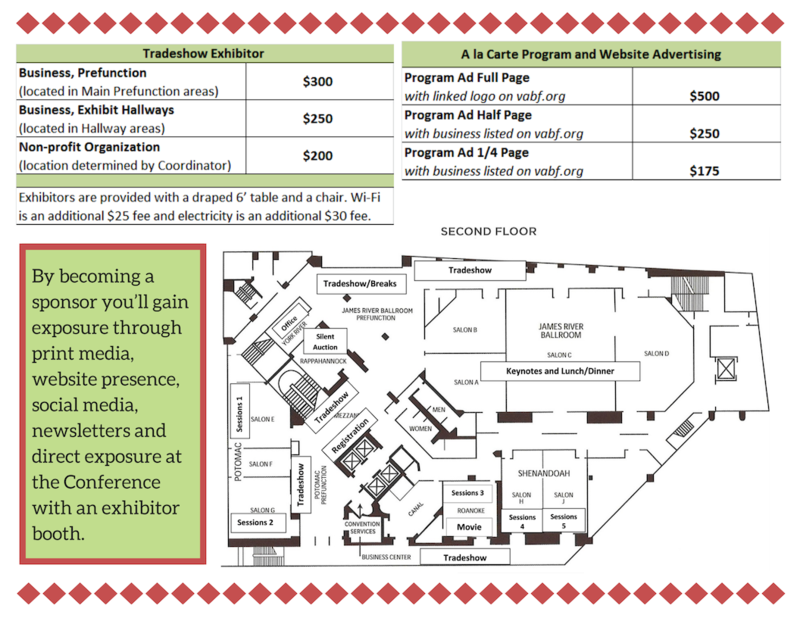 Exhibitor trade show set-up is Friday, January 11 from 8 a.m. to 5 p.m.
Trade Show hours during the Conference are: Saturday, January 12 from 8 a.m. to 6:30 p.m. and Sunday, January 13 from 8 a.m. to 4:30 p.m. 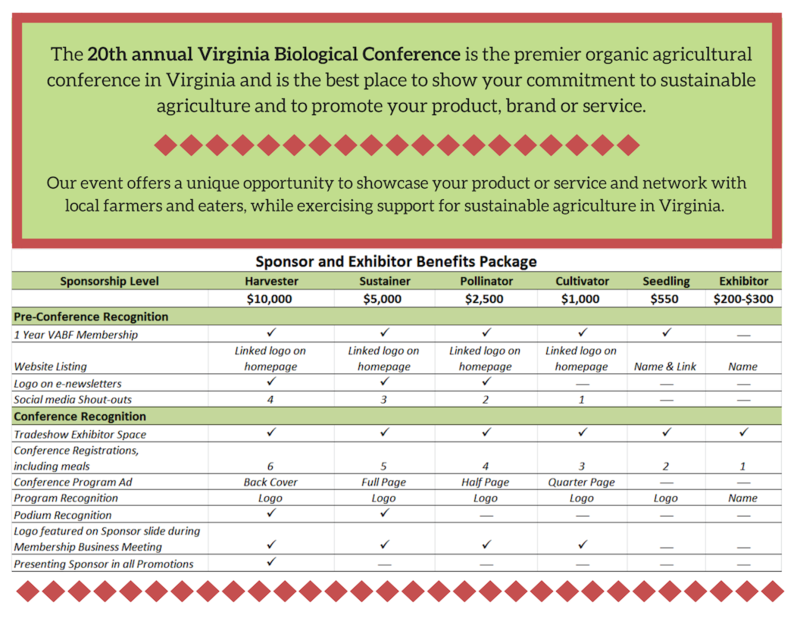 Please send program ads to Lindsay at coordinator@vabf.org by December 17th. Please choose your package below and click “Add”, then complete the form to pay online.